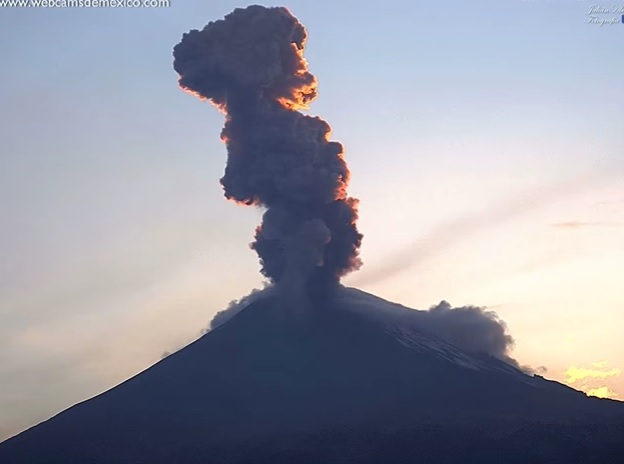 Mexico’s majestic Popocatepetl volcano erupted early yesterday afternoon (March 11), in a dramatic show of ash, water vapour and gas. The dramatic eruption at 6:42 pm local time (12:58 GMT) spewed ash over the nearby city of Puebla, causing the local airport to halt operations from dawn until 2:00 pm local time (20:00 GMT), said Mexico’s disaster relief body in a news release. The Popocatepetl volcano is one of Mexico's most active volcano and last erupted on January 17th 2017.